By day, Nicki serves as the executive director of local nonprofit, Read and Write Kalamazoo (RAWK) which provides cost-free literacy programming for pre-K through 12th grade youth in and out of school. Prior to RAWK, Nicki proudly served as the Civic's director of education and outreach founding the Academy of Theatre Arts from 2008-2018. 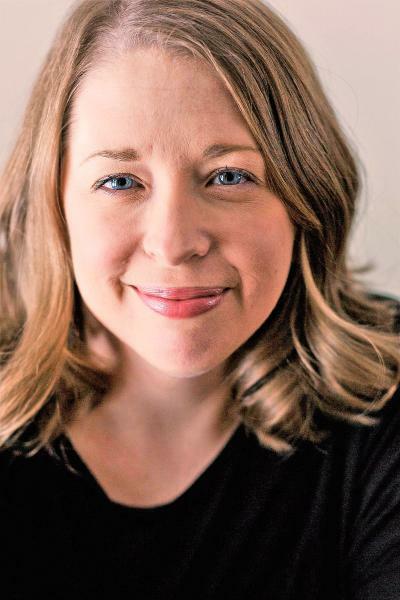 She holds an MFA in Acting from the University of Montana where she portrayed the title role in Evita and a BA in Theatre with a music minor from Millikin University where she developed her passion for education. Nicki directed and choreographed last season's Rock of Ages among others, including Disney's Beauty and the Beast, Jr., and the world-premiere of Sleepy Hollow. Past directing highlights include Peter Pan, Shrek, and The Hobbit. Also a performer, Nicki has appeared in the Civic's productions of Willy Wonka, Fiddler on the Roof, and her favorite, as Cindy Barnes in Hands on a Hardbody. Nicki lives in Kalamazoo with her theatre professor husband and two energetic young children. "Thank you to Atis & Lisa for this opportunity. This one is for Grandma Shirley and her caregiver, Grandpa Harry."